I know that Multi Channel software can help you work smarter, save you time and help make your business grow. However… Do you find Multi Channel Software confusing too? One of the challenges that I have had and I’m sure you’ve struggled with over the past few years is working how which Multi Channel software is right for you and your business. 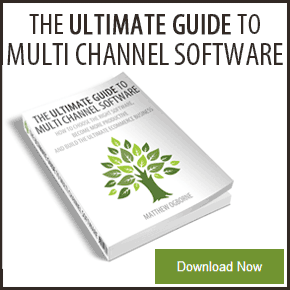 So I’ve written the Ultimate Guide to Multi Channel software especially for you. If you already know myself & that any such book is going to be worth the read, click here to download your free +70 page copy. If not, here’s an insight into the book you can currently download for free and have in your hands in seconds. The book is broken up into 12 chapters and first five chapters explain everything you need to know about Multi Channel software. Then together we’ll look at the different generations of Multi Channel software and I’ve included two simple to use tools that you can use for your business to help you work out which Multi Channel software is right for your business today and in a years time. In the previous book that I wrote on the “One Simple Rule to Sell More Online” we homed in on how your business is being seen by customers. The “Be-Everywhere” strategy is the other side to this, this is being everywhere where your customers are when they’re in buying mode. So this isn’t social media marketing on Facebook, Twitter, Instagram etc… where your customers are in “social mode”, this is on eBay, on Amazon and on your own eCommerce website where your customer is in “buying mode“. It helps you “be everywhere” your customers are and manage the processes in the background to help you work smarter each day. I know that that Multi Channel software can appear confusing to begin. However, Multi Channel software can help you and your business grow. It’s a decision that I personally put off for several months and it cost me thousands. Ask anyone in this industry and they’ll tell you immediately that the businesses, that employ the tools that you find in Multi Channel software will help you and your business grow. And I’m only scratching the surface here for everything you’re about to learn in your copy of this book. 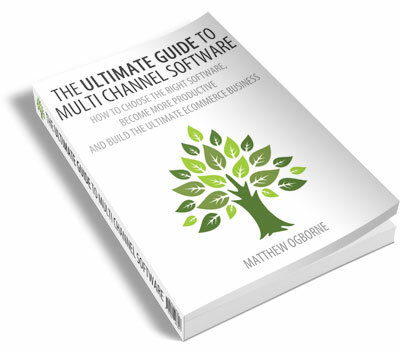 The simple to use tools in this book will help you work out the true cost of how much Multi Channel software is going to cost you. You can compare one provider against the other and while it will take you a couple of weeks to fully leverage the tools you’ll find in Multi Channel software, it doesn’t need to be expensive anymore. You can start on a tiny budget of just £302 for an entire year (or £25.17, 31.36€, $42.09 USD or $45.07 AUD if worked out monthly). I’ve also included a tool that you can use to compare the features by giving you all the questions you need the answers to and compare any 2nd Generation Multi Channel software this includes Linnworks, Seller Express, StoreFeeder, ChannelGrabber, BrightPearl, ChannelAdvisor, eSellerPro, Cascade, ChannelUnity, Seller Dynamics and the 3rd Generation too. You can start reading this book immediately and I’ll also email a copy over to as well so that you can read it at anytime you wish to. I want your business to be a success too and I’ll be in touch a few days after you have downloaded the book to see how you’re getting on and including some extra tips & suggestions to accompany the book. Part 2 – Hands Up I Was Wrong – But What About? In this second part of the History of Multi-Channel Software, we’re starting a journey, a journey to find the utopia and a journey that we’re going to share openly, wins, failures, the lot. The utopia for multi-channel software that can fit the needs of any business regardless of size, type, location or revenue both today and tomorrow. And to do this effectively, I need to admit I was wrong. In part 1 of the History of Multi-Channel Software we covered how we have ended up where we are today with the collection of software providers that offer pretty much the same options, all wrapped up into different interfaces for multi-channel businesses to use. I also shared with you the vision for the future which I’ve put below, the “utopia”, the goal that we’re aiming for and the commitment that I believe together we can achieve. I also admitted that I don’t have all the answers and never will but are willing to share this journey as we go and we invited you to join in. And the thing is… Hands up, I was wrong, so very wrong. Crude by today’s standards, I had built my own eBay order management tool back in the early 2000’s using excel, outlook, an addon for Outlook and some VBA (Visual Basic for Applications). I was parsing the notifications for “end of auction” and “end of transaction” emails from eBay using a plugin for Outlook (which amazingly you can still buy it today, see here), loading them into an excel spreadsheet and then using VBA to process them, adding in notification flags for a pick/pack/despatch process with mail merges to create invoices , then email mail merges to email customers their order received, packed and then despatched notices. I’m probably being a little mean to what I built back then by calling it “crude”, it took me from using a paper tracking system to a semi-automated system, which then led the business to a stage where it could afford more advanced software such MarketWorks or ChannelAdvisor (the only two options we had back then) at around £15-20K a month turnover and then we added in MarketWorks, we ni-on quadrupled the business in 3 months. I have always wondered “what if the business could have afforded the best software available earlier on?”. As I sat there in the cyber-cafe looking at eSellerPro for the first time, I genuinely felt that “this was it”. 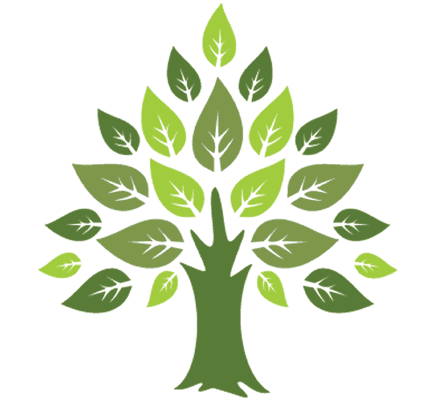 What had frustrated me as a business owner myself and through having seen hundreds of business at Marketworks, seeing them struggle with a slowly developed product with the possibility that those frustrations could be answered and what you use today in eSellerPro is part of the answer I saw back then (after a ~3 years stint that is). I believed one product could fit the needs of every scenario thrown at it and that is where I was wrong. Who needs complicated when straight-forwards will work just as well? Why does software need to do everything for everyone, when the core essentials are all that are needed? And Wrong Again? Maybe Not…. I know many of you will cringe at the idea of ChannelAdvisor, having a core system and with bolt on modules, using specialists in their own areas, it’s a “hybrid system”. Frankly speaking, you’re most likely scoffing at the idea because it doesn’t help that the base system is so expensive it rules it out as being a viable solution for +99% of all multi-channel businesses. The thing is, I believe we were all wrong about this “hybrid” approach and I’ll explain why. Take the massive cost out of this hybrid approach, so let’s say we take £600 monthly minimum fees and floor them by 95% to just £30 (yes that is thirty quid or $47 USD, or less but that’s a topic for another day) and suddenly it’s a lot more attractive don’t you agree? 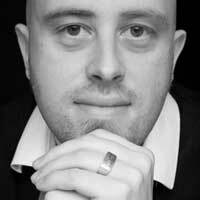 Let’s boil everything down to the three key parts of a multi-channel software product. An inventory management system, an order management system and listing abilities to marketplaces. This goes for any of the 2nd generation providers regardless of origin. 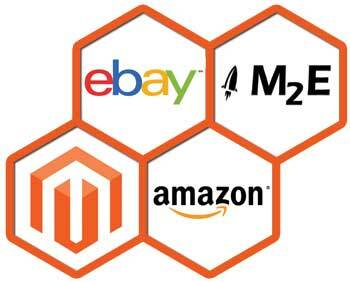 The inventory management system would need to be able to with both simple and complex products (variations), kits, virtual products, stock control, imports, exports and customisable fields that you can match to eBay & Amazon item specifics. Then the order management system which would need to aggregate orders from multiple channels, websites, multiple eBay accounts, multiple Amazon accounts (if you’re being naughty lol), have order stages, customisable despatch options, links into couriers and back to the marketplaces for order updates. Email notifications, while they’re not an essential they are a nice to have and are of notable value for any order management system. Being able to match up to existing listings on the marketplaces, create new listings and keep prices, descriptions and stock levels updated. And be kept upto date with the updates that these marketplaces like to do every few months. These 3 are the key components for any multi-channel software product. I am missing one other part on purpose though, support. Because this component it is so special, I need to be address it specifically at a later date. As we saw in part 1 the vast array of options, there is no one right way of approaching each of these components and when we look at the different providers out there, they have all come from different angles and ended up with varying levels of success for each of the 3 components. Let’s pick on two other providers as an example. StoreFeeder, StoreFeeder came from a fulfilment background so as you would expect the despatch process in StoreFeeder is amazing. I love how you can batch process orders easily and I’ve not seen anything to touch it at the price point they offer. ChannelGrabber, they needed simplicity, so ease of use is unparalleled. Each and every multi-channel software has come from a different direction and ended up with something that can (or is being) labeled as “Multi-Channel Software” and they can all be boiled down to these 3 components. Keeping the key components in mind, 3 questions for you to seriously consider. #1 What if we took the ChannelAdvisor, hybrid approach. One core system that has inventory management, order management and listing abilities and bolstered it with industry expertise? #2 What if we took away the costly overheads and we leveraged a platform that was open-source and getting back to that £30/$47 I mentioned earlier, what if it would run on shared web-hosting, which is available anywhere, globally, inexpensively? #3 What if we then said because it’s open-source, you can extend it further and gave you the power to innovate? 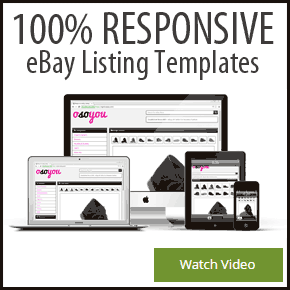 What if the listing abilities were available for free to eBay and Amazon was ridiculously inexpensive? Originally I thought this hybrid approach wasn’t the correct path to follow. It’s expensive with the current providers but on the flip side allows us to bring in industry expertise in each area, when you need it, if you need it. So what happens if we floor that massive overhead, leverage the already existing technologies that are proven globally, bring in expertise when needed, if needed at all and open the doors to be able to innovate through open source? The potential is huge? Like we said in Part 1, we know that this new approach works, it’s not a theory for us or you anymore. All that is needed is a journey to be started, for knowledge to be shared and for each of us to work together. 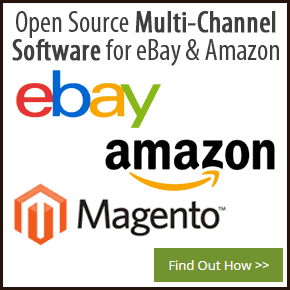 We have the the vision of a world where you can use a hybrid of both free and paid for open source software where you can as a where multi-channel business owner you can pick & choose the tools that suit your business, both now and in the future.